Are you sick and tired of the constant struggle of eating healthy and not losing weight? Does it seem like a lifelong battle that you can never win? Does it work like a roller coaster ride that has ups and downs, but the weight you lose won’t stay gone? 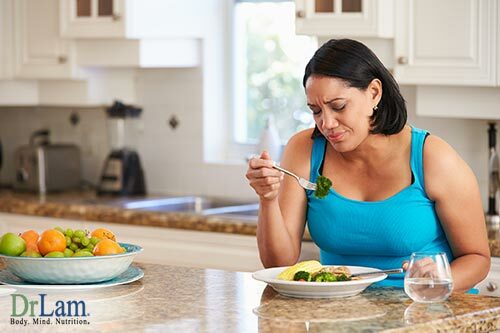 “It’s so easy,” they say, “just exercise and cut the carbs… drop the sugar… increase the proteins.” But if you have tried a variety of diets and still aren’t seeing results, there are many factors to consider that could help make the change you are looking for. Things that you aren’t even aware of could be derailing your ability to lose weight right under your nose. 1. You are NOT staying hydrated. Water is essential to life. It is recommended that you at least drink 64 ounces a day to keep your body functioning properly. However, more recent modern studies have shown that you may actually need more: 120 ounces for the average adult male and 88 ounces for the average adult female. It is pretty safe to say the majority of us do not drink the necessary amount. The good news is that it does not have to be pure water. “Water” can be found in the other liquids and foods we consume. When it comes to weight loss, your body needs water to break down the fat it stores. However, being that this process is not prioritized by the body, if you fall short on liquids, your body will halt that fat burning process, and use the water for more important bodily systems. Bottom line, stay as hydrated as possible so your body has enough water to do everything it needs to function optimally. 2. You are NOT eating ENOUGH fats. Yes, you did indeed read that correctly. I am not suggesting you eat a box of donuts, but your body does need a good source of healthy fats to carry out its daily functions, so let your fear of eating fats be over! If your fat source is a healthy one, such as avocado, coconut, or nuts, go for it. It has been proven that healthy fats are actually more effective for weight loss than low-fat diets. Low-fat foods are more likely to leave you hungry, unsatisfied, tired, and craving junk food. High-fat foods also provide sustainable energy to prevent low blood sugar levels, a common symptom of adrenal fatigue. 3. You are NOT meditating and relaxing enough. Believe it or not, if you are overly stressed, and not living mindfully in your present moment, your hormone levels will become unbalanced, and your cortisol levels will rise. Every type of stress counts, whether it be mental, emotional, or physical. Cortisol can and will influence weight gain. When you reduce your stress by meditation techniques such as yoga or deep breathing, you minimize your cortisol levels and improve your overall health. A severely overly stressed body can experience what is known as the NeuroEndoMetabolic (NEM) Stress Response Dysregulation where there is a shutdown of the digestive tract, increased blood-sugar levels, a spike in cholesterol, and the body enters survival-mode, in which it locks fat cells in place for future use. If you are eating healthy and not losing weight, just breath. You will be setting yourself up for shedding pounds more easily and living a healthier and longer life. 4. Your protein consumption is off. Balance is important with everything, even with your protein intake. 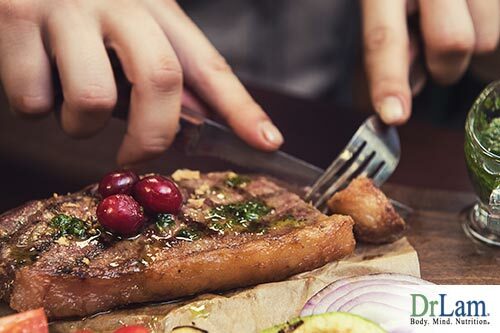 Protein is a very important part of eating healthy and is the primary building block for the entire body, and it is very important in creating and maintaining muscle. But there is a point where too much protein can cause you to gain weight. When the body receives more protein than it can use, it stores it as fat. There are a variety of opinions on the proper amount of protein one should consume. The DRI, or the Dietary Reference Intake, recommends 0.36 grams per pound, or 56 grams per day for the average sedentary man and 46 grams per day for the average sedentary woman. This seems to be the amount to prevent deficiency, but not the amount to ensure optimal health and body composition. That differs per person, and per circumstances such as your current state of health, activity levels, age, muscle mass, and physique goals.